It's not always easy to find top mechanical mods while on a budget. Often when we need to vape on the cheap, we start looking for the best mech mod clones, because most authentic mech mods are painfully out of reach, often costing $200 or more. However, the market is changing. 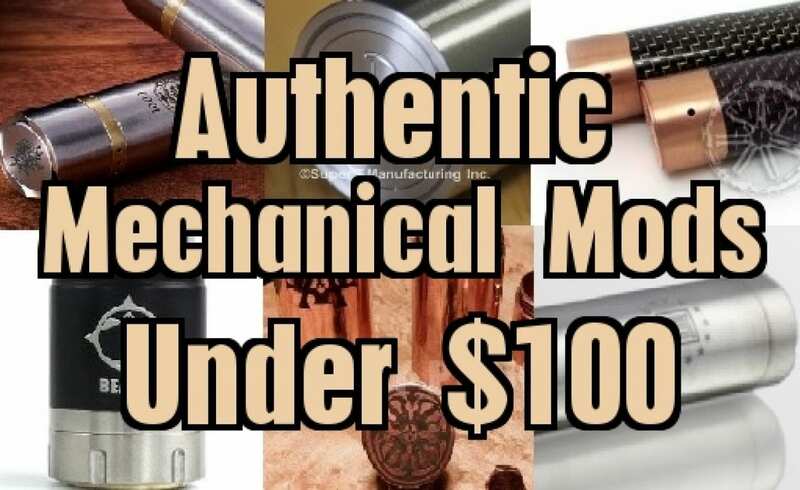 Top mechanical mods makers are starting to see that we are more willing to buy from them if the price is right, and so more and more products are being released at lower prices. For the first time, we are starting to see good mech mods at prices most of us can afford. The DejaVu DJV Mech Mod a hard hitting single 18650 mech mod designed in Malaysia. It's currently only available in one color which is black, but includes two unique fire buttons and 2 grips, allowing you to customize it to your liking. It is primarily constructed out of pure brass and copper material, and is pretty compact, so it's very comfortable in the hands. It also features a hybrid top cap, so only atomizers with protruding 510 pins can be used.However, due to this alongside its construction and gold plated contact, it makes for an excellent performer. What's even better is that it includes both a spring and magnet, which not many mechs include at this price range. This allow for further customization for not only the looks, but how the button feels when you vape with it. Everything is packaged well in a zippered pouch, which is again seen with mechanical mods that cost double, even triple the DejaVu Mech's cost. Its overall diameter is 25mm, so it'll fit all of your atomizers that are 25mm and below in diameter. This is another huge pro as many newer RDAs and some of the Best RDAs do come in 24mm and 25mm sizes. All in all, the DJV Mech not only performs well, but it looks good too. You're definitely getting something that feels "High End", but not breaking the bank. If you enjoy single 18650 mechs, then definitely get you one of these, it surely won't disappoint. “We are brothers in arms, we fight to the death. We are family. We are kindred.” Designed in the United States by Council of Vapor, the Kindred mod is a stunning stainless steel device with brass accents. This ecig mod features a recessed magnetic switch, reverse threaded locking ring, and adjustable silver plated copper contacts. This vaping mech mod has modular tubing to accommodate 18650, 18500, and 18350 batteries, and it is said to have an extremely low voltage drop. The Kindred mod is on sale at Vaporange for only $27.95. The manufacturers of the popular Penny e cig mod have outdone themselves once again with the release of affordable and hard-hitting Colonial mod. Composed of billet aluminum, this lightweight vaping mod features adjustable copper contacts and a unique concave recessed switch that seems designed for comfort when pressed. It consists of a single tube that will house an 18650 battery. The Colonial mod with a brushed aluminum finish is now available from Vapor Range for $99.95. Matte black, glossy black, and copper finishes are also available for pre-order. The beautiful Klone mod is made of copper with a stunning glossy carbon fiber finish. It features a recessed magnetic switch and a hybrid top cap, reducing the voltage drop to near zero. This high quality mechanical vape mod is available for only $69.99. Rumored to be an homage to the character Magneto from the X-Men, the Smoktech Magneto II is a telescopic mech mod with floating brass positive and negative contacts designed to house batteries of multiple sizes. The Magneto II features stronger magnets than the original Magneto and has a reverse threaded locking ring. Smoktech is a leading manufacturer of affordable, quality vaping products, and this vape mod is no exception: a stainless steel mech mod available in multiple colors, the Magneto II can be purchased from VaporAuthority for $44.99, on ebay for $35.00 (black, gold, steel), or ebay for $35.80 (colors). The Seeker mod by EHPro is one of the hardest hitting vaping mods in existence. It consists of a solid copper tube designed to house a single 26650 battery, and features pure silver contact pins. The Seeker has a recessed spring switch and a unique knurled stainless steel locking ring. This mechanical vapor mod was designed with conductivity in mind and is promised to have a voltage drop of less than 0.12 volts. The EHPro Seeker can be purchased from Vaporescence for $50.00 when using the coupon code “VC5” at checkout or on ebay for $59.95 with free shipping. Fu Chai was a famous Chinese king dating back to 500 B.C., and this mech mod named after him is truly fit for a king. The Fu Chai by Sigelei features a beautiful hexagonal tube design covered in ancient Chinese text. Made to accommodate a single vape battery, this vape mod is a stainless steel tube completely lined with copper throughout the inside, making it both durable and highly conductive at the same time. It has adjustable copper contacts and a recessed switch with a locking ring. This unique mechanical mod is available in stainless, gold, coffee, and black finishes from the manufacturer for only $79.00. 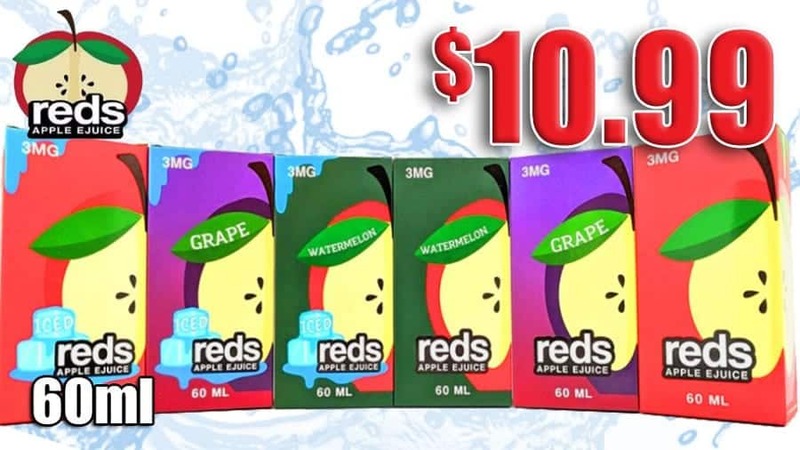 Beyond Vape is becoming an industry leader in producing quality vaping merchandise and offering it at affordable prices. And, their Beacon vape mod is excellent. The Beacon vape mod is a telescopic mech mod made of aircraft aluminum and will house any 18350, 18500, or 18650 battery. It features a brass switch with locking ring and silver plated brass contacts. The top cap is made of 303 stainless steel for maximum durability. This high-performing mechanical mod is available in black, gray, and red directly from Beyond Vape for only $30.00. Now that you have the list of best cheap mech mods and you can vape on the cheap, this video below should help you make a smooth transition f﻿rom electronic vapes to more advanced mechanical mods. I thought about the snow wolf, but I chose not to include it because I was trying to show one mod per manufacturer, and I thought the Klone was a better deal 🙂 smoktech, sigelei, and super-T all also have more than one mod in that price range. I tried to pick the best mod from each company. The Beyond Vape Beacon is amazing! I’m gonna get a couple. It’s the only telescopic mod I’ve loved and the price is amazing. I forgot to pic one up at vapecon, but the people are cool and the copper beacon hit like a brick!!! I have heard lots of great things about the beacon 🙂 and it’s pretty slick looking too, the best looking telescopic mod I’ve seen. I hope you enjoy yours! Nice Mods and great info!!! What is the best source for information on current vaping tech? I am so far behind that at times I don’t even know what these reviews are talking about! 😀 What is “sub ohm”? Why is Japanese organic cotton so special? What’s involved in modifying my Kangertech gear? I have a million questions and obviously this isn’t the place to ask them, so… where can I just read up on all of this stuff? And secondly, how the hell can the FUFDA be left out? At $80, it’s IMHO the best mech out there, as I believe it’s ingenious button switch assembly (the reason I stopped using mechs in the first place – always falling apart, losing springs, etc) will be the new standard. It’s just two pieces, a button and a sleeve to prevent it from falling out the bottom. And by moving the spring to the top, it’s s entirely self adjusting! It’s just awesome! I personally recently purchased a fu chai and i love it. Its a sick mod and is completely solid. It hits like a train its durable. 2 thumbs up from me. Please update the list, half are dead or the site doesn’t offer that modle/any mechanical mods anymore..